Domain names are an integral part of your online business, no matter if you’re a tech startup or a freelance graphic artist, your domain name can make or break your business. Sure, that sounds like an over exaggeration, but just think about it, without domain names, the internet would not be a very efficient place. A top-level domain (TLD) name adds credibility, mobility, helps build your brand, and can even attract local customers. Aside from what you plan on doing with your domain after your purchase, the first step to purchasing a new domain begins with finding a domain registrar who is right for you. When you go to register a domain, the entire process consists of three separate participants: The domain registry, registrar, and the registrant. A domain registry is basically an organization who manages all the domain names that they are responsible for. Each registry maintains a database, or domain name system (DNS), of their own top-level domain names along with the relevant registrant information. Registries are the ones responsible for creating new domain extensions, setting the rules for those extensions, and working with registrars to sell those domain names to the public. VeriSign, for example, manages all information related to .com and .net domain names. The only organizations higher on the totem pole during the domain registration process are the Internet Assigned Numbers Authority (IANA) and the Internet Corporation for Assigned Names and Numbers (ICANN). A domain registrant is simply the organization or individual purchasing a domain name through a domain registrar. The registrant’s information is sent to the proper registry, information that can then be managed and modified through the registrar. Now, on to the reason we’re here: Domain registrars. As you can probably gather, a domain registrar is the company who allows us as registrants to buy domains. Every registrar has their own list of top level domains they sell. While in the beginning stages of the internet there was only one company who registered domains on behalf of clients, today there are hundreds of different registrars. But even so, domain registrars are not the only way to buy domain names. This leads us to our next point: The difference between certified domain registrars and domain resellers. To become a legitimate domain registrar, the organization must be certified and accredited by ICANN – the private non-profit company responsible for allocating IP addresses and managing the worldwide Domain Name System (DNS). But not all registrars are accredited by ICANN. As mentioned above, domain registrars are not the only companies you are able to buy domains through. A vast majority of web hosting providers also sell domain names as a part of their web hosting service. Most registrants purchase their domains through their hosting provider rather than using an outside registrar, as it can be much more convenient and economical since transferring a domain comes usually comes with a fee. Web hosting providers who sell domains, or services who are not certified registrars but sell domain names, are both considered domain “resellers.” They’re given this nickname because they are reselling domains from the registry’s they work with, often at a higher price. But are all hosting providers who sell domain names resellers? No. There are several web hosting providers out there who are accredited registrars. GoDaddy is one popular example of a certified domain registrar who was first known for their cost-effective web hosting. While buying domain names through resellers can be convenient, it can also come with a variety of problems you may not have considered. Becoming a domain reseller as opposed to a registrar is fairly easy. You simply need to create an account with a certified registrar, build a website, and attract clients. Though most resellers are honest and take their responsibilities as a domain provider seriously, others do not. – Spam – If you combine a domain reseller with a spam-friendly web host, you have the perfect recipe for a spam-filled inbox. When scrapers, spammers, and hackers know the email address you used to buy a domain, it can not only be a nuance, but can lead to more detrimental issues. – Prices – Resellers must purchase domains through packages offered by registrars, either through individual extensions or by sets of domains. Every registrar has their own reseller program with its own pricing structure, but in the end, a domain reseller program is designed to do one thing: Make the resellers profit. With this said, you’re likely to find higher domain prices by using resellers. Sometimes it’s best to just cut out the middle man and go straight to the registrar. – Unresponsive – What happens in the event the reseller you purchased your domain through goes out of business? If this happens, you would need to go through a series of steps that involves using a WhoIs lookup to find out who the actual registrar is. Then you would need to verify with the registrar that you are the actual domain owner before you’re able to access your own domain. While registrars typically have no problems with helping its registrants, it’s a good idea to avoid the hassle and headache that comes with choosing a reseller who may not be in business two, five, or even ten years from now. There is no one-size-fits-all domain registrar. It pays to shop around. While browsing different registrars, you will inevitably find some surprising differences between providers in what they offer – or don’t offer. Whether you come across SMTP issues, experience DNS errors, or stumble upon complex IP address troubles, every technology professional needs to be well-prepared. And this requires knowing exactly what features to look for in a reliable domain registrar. An often-overlooked problem that occurs quite frequently is domain theft. People with malicious means may try to hack into your personal registrar account or associated email address. If successful, the hacker can then steal your domain by transferring it to a different registrar. If this happens, then it’s already probably too late to get ownership of your domain back. For this reason, strong security protocols should be at the forefront of your mind when shopping around for a domain name registrar. While some registrars have excellent reputations when it comes to security, others are a savvy thief’s best friend. The simplest way to instantly improve your domain’s security is to choose a registrar who includes two-factor authorization with accounts. In the event a problem ever does crop up, whether it’s through delegating administrative rights, renewing services, or just simply from transferring a domain, you need to know your registrar’s technical support team is responsive and capable. Review a registrar’s technical support policies before signing up. Aside from providing a toll-free support number, it can help you save time and worry by choosing a domain registrar who offers live technical support. If you’re a person who tends to hoard and hold domain names, whether for the potential financial benefits or for the many different websites you manage, pricing is always an important factor. Make sure to understand the cost of not just registering a new domain, but of renewing it, which can often cost more than the registration. You also want to check their pricing policy before going all-in. Look for any hidden fees the registrar isn’t being up-front about, such as domain forwarding, email services, and WhoIsGuard protection. While many include these for free as part of a new domain registration, some may charge a ludicrous amount. Look for inexpensive domain renewals and freebies. NameCheap is a good example of a registrar who provides free WhoIs protection for new and transferred domains, alongside cost-effective renewals. Ever found an online service you thought you loved until you encountered their confusing account management section? Sure, you could contact customer support or read through a boring knowledgebase, but you can also save a ton of time from seeking extra help by choosing a registrar who did a stellar job at designing their user interface. A domain registrar should give you an idea of what their account management panel looks like, and if not, you can always sign up for free without making a purchase. Ask yourself, is the domain management system easy to understand? Is it intuitive or clunky? What steps would you need to take to perform simple tasks, such as redirecting nameservers? Will the account dashboard do well in your browser? A domain registrar with a user-friendly interface will have a centralized control panel with relevant tools grouped together by topic. You should be able to perform simple to complex tasks with relative ease, and without switching between multiple pages. Most people prefer their domain registrar to have a diverse offering of domain extensions just in case they spot a valuable opportunity. While primary domain extensions like .com, .org, and .net carry the most value, the use of exotic extensions like .news, .life, .store, .solutions and many more are on the rise. Some people may not care about having access to a wide selection of domain extensions, while other users need a registrar who offers exotic domains, especially people who need their own country’s national extension, or ccTLD, such as .de, .ua, .bd, .es, .mx, .co, etc. So, there you have it, everything you need to know about domain registrars, how they differ, and what to look for in a reliable domain service provider. 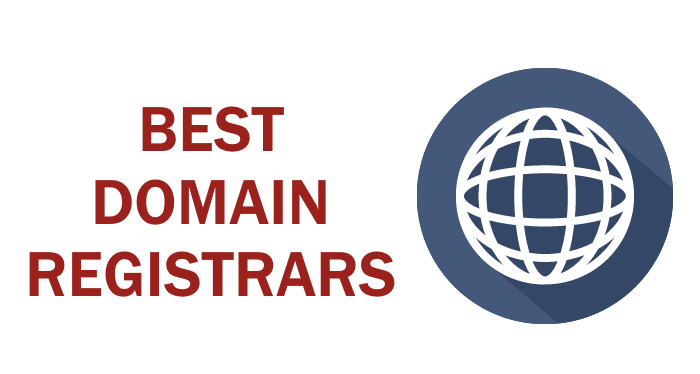 Since we’re all about helping you save time, take a look at our comprehensive list of the best domain registrars out there. And just know that the reason domain research is so important is because as you’ll see, the biggest name isn’t always the best option. Since 2003 1and1.com has offered a myriad of hosting and domain services to citizens in 10 different countries. Since their inception, 1and1 has served over 15 million customers and managed over 19 million domains. Looking at the Pennsylvania State Attorney general’s office’s official website in Chester, Pennsylvania, you’ll find thousands of customer complaints regarding 1and1.com and their shady business practices. In conclusion, don’t let 1and1’s free domain hype trick you into thinking you will not run into problems using their services. A long-standing institution, NetworkSolutions was initially founded in 1979 and was eventually acquired by Web.com for $405 million. NetworkSolutions was even the very first – and at the time only company – allowed to register top level domains during the beginning of the internet age. Reading off the reviews of past users, it becomes clear that the quality of service delivered by NetworkSolutions has severely diminished over the past few years. The company’s domain services lack transparency, sophistication, and are not well-suited to budget-minded users. Register.com is also owned by Web.com. The company has been operational for over 15 years and currently manages around 2 million domain names. Since Register.com is owned by the same conglomerate who owns NetworkSolutions, they have similar advantages and disadvantages. While Register’s domain prices are definitely better than NetworkSolution’s, we still consider many extensions to be overpriced. The company’s poor ratings and unqualified customer support team does not help, either. Dotster.com was established in 2000, is based in Vancouver, Washington, and is a subsidiary of the Endurance International Group. The company hosts over 3 million domains. They own their own data center and aside from hosting, domain, and email services, Dotster.com also sells web design and business solutions. Solid domain registrar if you’re looking for cost-effective first year domain prices from a certified source. Dotster also appears to run semi-frequent promo codes for their domains. Not the worst registrar out there, but you can probably do better. Name.com is an ICANN-accredited domain registrar who is a wholly owned subsidiary of RightSide, a worldwide leading domain name service company. Name.com has been a certified registrar since 2003. Comparakeet.com ranked Name.com as the third best domain registrar in the world. All-in-all, Name.com has pretty good domain prices and a diverse offering, but their transfer fees might put some people off, which isn’t a problem if you plan on using their service for a long time. Domain.com was founded in 2000 and is now one of the largest domain registrars in the industry. Their domain services come with free URL forwarding, email forwarding, transfer lock, and a novice-friendly DNS management dashboard. A vast majority of complaints against Domain.com are aimed at their hosting services, while their domain service is generally well-liked by users. Other than this, Domain.com has pretty good base prices, but their lack of freebies and non-transparent renewal costs combined with a technically ungifted technical support team force this registrar into the number 15 spot. Dynadot.com was founded in 2002 by a software engineer in San Mateo, California. The company designed their own custom state-of-the-art hosting and domain software to ensure fast, stable, fully controlled services. Dynadot has thousands of clients from over 108 countries. Dynadot’s domain registrations are priced fairly, and while renewals do come with a slightly higher cost, the prices aren’t outrageous. Using the .com, .net, and .org examples above, renewals cost $10.99, $11.99, and $12.99 respectively. Because there are not many reviews on Dynadot, there aren’t many complaints, and the reviews that are negative tend to mention a sluggish customer support team, as well as email issues and hosting downtime – which is likely the result of their proprietary in-house software. Enom is a subsidiary of Tucows Inc., who owns other domain service brands such as OpenSRS and Hover. Enom is ICANN-accredited and has been a world-leading domain name registrar since 1997. The brand is also one of the world’s largest domain name resellers. Aside from the complaints against the company, Enom.com is overall a reliable domain registrar who has built a decent reputation and offers ‘just okay’ prices. Although we do wish Enom included freebies, their 30-day money back offer is a great incentive to give Enom’s domains a shot. 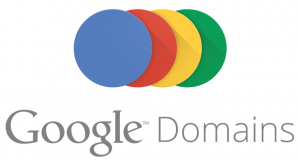 Google launched their domain services to the public at the beginning of 2015 at domains.google.com. As a domain registrar, Google’s services consist of allowing users to claim, register, and manage domain names. Hosting and other solutions are not available. Google is a reliable domain registrar for those who own a few domains and have simple needs. But if you’re a reseller or maintain a large number of domains, you’ll find a better provider elsewhere. Not much of an introduction is needed here; GoDaddy has been in business for over 18 years. Today the hosting giant operates in 14 different data centers while catering to over 17 million customers. GoDaddy claims to be the single largest domain registrar in the world. By being such a large company, it is reasonable to expect GoDaddy to receive a large amount of criticism. But overall, when it comes to domains, GoDaddy is a middle-of-the-pack registrar who rightfully deserves some attention. Netim was founded in 2004 in Lille, France by a group of like-minded IT professionals. Netim is an accredited domain registrar in multiple countries, which includes by ICANN in the US, Belgium, France, and Switzerland. Netim manages over 10,000 domain names. While scanning customer reviews, it appears there are a few complaints against Netim.com regarding communication and down servers, but nothing too serious against their domain service. Another big name in the web hosting industry, BlueHost was formed in 2003 and is based in Orem, Utah. BlueHost powers over 2 million websites, and while reliable hosting is what they’re known for, their domain solutions also deserve some recognition. Reviews from customers are mixed, with most of the negative attention focused on their hosting services. Definitely not the best domain registrar out there, but their prices are decent. Headquartered in Houston, Texas, the now popular HostGator was once a struggling startup operating out of a university dorm room. The company was founded in 2002 and is now owned by Endurance International Group. In the end, by using HostGator you’re bound to run into less problems if compared to other big-name registrars. Prices are not that great, selection is limited, but the company is very reliable. Good option for those managing a small number of domains. OVH.co.uk has been putting their brand name on the map since the company’s inception in 1999. Today OVH operates in 20 data centers across 17 countries and maintains over 260,000 servers and has managed 3.5 million domains. The company is trained and based in the UK. Looking at reviews of OVH.co.uk it appears that a majority of customers have had a pleasant experience using their domain services. Most negative comments are directed at their hosting solutions. In addition, OVH replies to all reviews made, positive or negative – which is always a good sign. Like BlueHost and HostGator, iPage is a member of the Endurance International Group. iPage was established in 1998, currently manages over 1 million websites, and comes with a no-risk 30-day money back guarantee policy. Like other domain registrars on this list, most customer complaints are targeted towards the company’s hosting abilities rather than their domain service. Overall, iPage has competitive domain prices and is a very simple service to use. Gandi SAS was established in 1999 and was one of the very first domain registrar’s to be approved by ICANN to sell domain extensions such as: .com, .net, .org, .name, .fr, and .eu. The company’s no-nonsense approach to serving their clients has garnered popularity and allowed them to establish offices on three continents and manage more than 1.8 million domain names from citizens in 192 countries. Iwantmyname.com is a transparent domain registrar owned by Ideegeo Group Ltd., which is a small privately-owned company based out of New Zealand. Iwantmyname strictly offers domain name services. No web hosting, design services, or other distractions. There are not too many reviews of Iwantmyname.com, likely due to the company’s relatively small size compared to other major registrars. In the end, if domain prices are not your primary concern, but you want to work with a registrar who’s honest, transparent, and has a no-hassle interface – check out Iwantmyname.com. Resellerclub was founded in 1998 and offers a full range of web hosting products, tailored specifically to domain resellers. Because of this, ResellerClub sets domain prices by tiers, or slabs, in which the more you deposit, the better prices you get access to. By scanning popular hosting forums you’ll find a majority of the complaints against ResellerClub have to do with their hosting service and customer support. But in all, ResellerClub has a friendly sales team, an expansive domain portfolio, and pretty great prices when you look at their promotional offers. Arguably the biggest name in the domain industry, NameCheap is an independent, ICANN-accredited domain registrar first established in 2001. If you’re on the hunt for the ultimate budget domain registrar, but want your money backed by a long-standing business with a courteous support team and tons of freebies, then we highly recommend checking out NameCheap. NameSilo.com is the perfect certified domain registrar for those with a large portfolio. 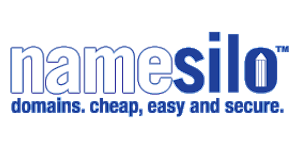 NameSilo.com has been selling affordable domains to the public since 2009. It’s difficult to find too much wrong with NameSilo. Their prices are the lowest on the internet, support is competent, their free lifetime privacy protection is a great bonus, and all-in-all NameSilo is one of the best domain registrars out there – highly recommended.